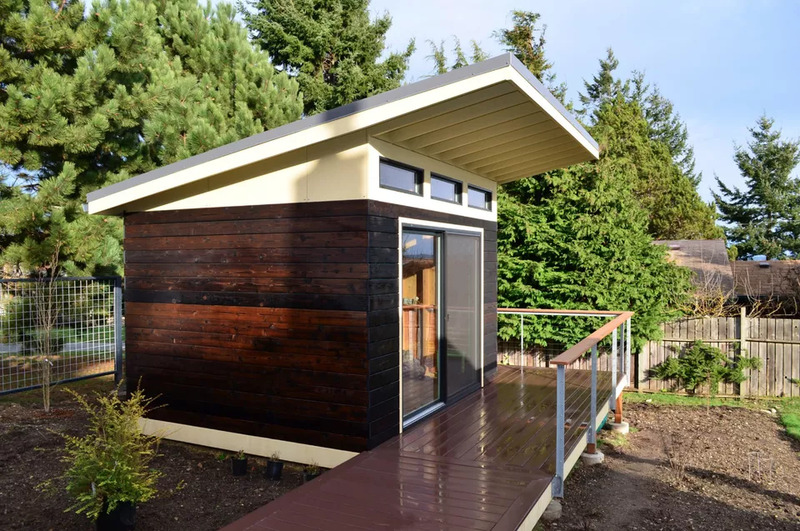 Since outdoor space is limited in a big city, everyone knows you must make smart use of vertical real estate. 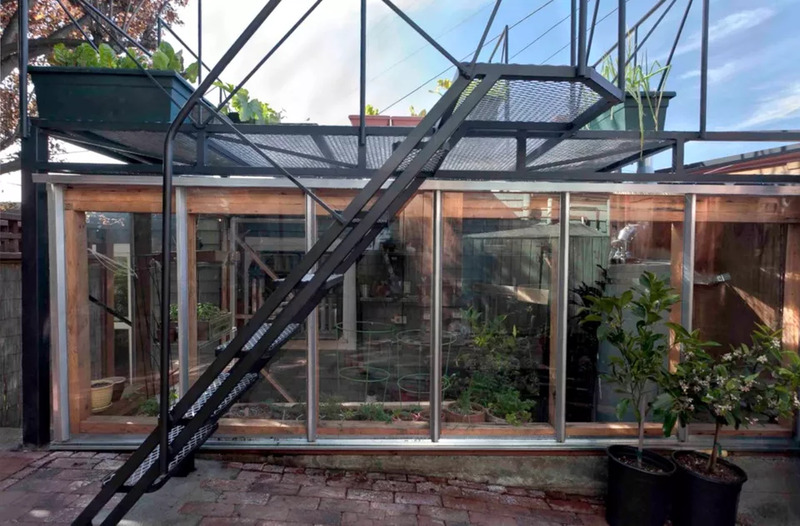 For a greenhouse/shed in San Francisco’s Bernal Heights, Step 3 Studio designed in open-framework structure that provides shelter for a garden shed that stores potting materials and plants on the ground floor. A steel staircase was built on site, which leads to a second level surfaced in steel grid mesh. The higher elevation is the perfect spot for container plants that require more sun. It’s also a nice place to hang out and enjoy views of the city, day or night.